Planting InstructionsThey take any kind of soil. Very drought tolerant. Flower FormSmall star-shaped flowers up to 1/2" across. Soil RequirementWell drained soil. Do not overwater. Watering RequirementDrought tolerant. Once plant is established, it only needs occasional watering. 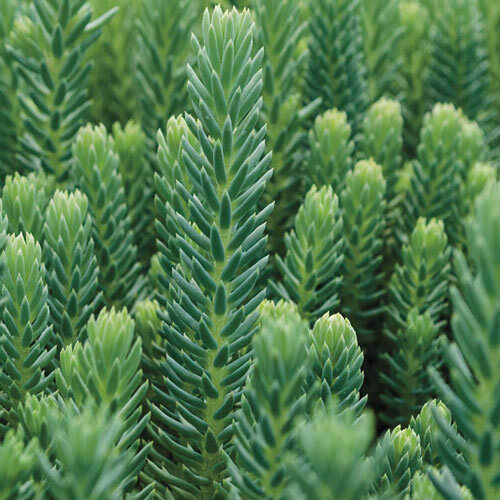 Unique CharactersticsNeedle-like leaves give the plant the appearance of a tiny conifer tree. 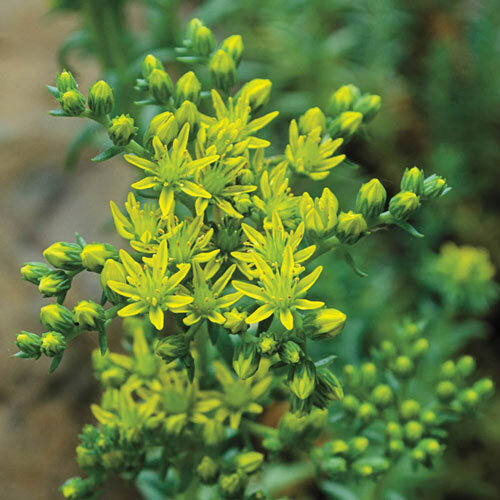 Year-round blue-green foliage produces a yellow flower in midsummer, which is a very nice contrast with the foliage of this low growing perennial. Very drought tolerance. Easy-care.